Districts that were notified back in October of a reduction to their school year 2011-12 ESEA Title I Part A, ESEA Title II Part A and IDEA Part B Section 611 grant allocations can expect to see some of the cut funds returned to their allocation. >>> LEARN MORE. 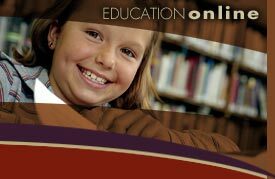 Personal Finance Standards were adopted by the South Dakota Board of Education in July 2011. It's Career and Technical Education Month across the country, and to help celebrate, Governor Daugaard has proclaimed Tuesday, Feb. 7, as Career and Technical Student Organization Day in South Dakota. The state’s Broadband Initiative, led by the Bureau of Information and Telecommunications, or BIT, in partnership with the state Department of Education and 15 local telecommunications providers, continues to expand across the state. Recently, the school districts of Volga, Lake Preston, Arlington, DeSmet and Iroquois have been provided with access to faster Internet. To date, 132 out of 152 districts have at least one Ethernet connection within the district. Nine of these districts continue to have projects in progress and 20 districts are currently on the schedule to complete the conversion to an Ethernet connection; allowing for faster and more reliable Internet access. Construction schedules, weather, cost and manpower at the provider level are all factors affecting when services will be available in a particular area. The long range plan is to make high-speed broadband services available to every school district in the state. “In today’s world, technology is integrated into the teaching and learning process, so it is important that our teachers and students have access to quality resources. The Broadband Initiative is one critical piece of the technology puzzle for schools,” said Dr. Melody Schopp, Secretary of the Department of Education. This improvement to the districts is funded by a $20 million federal broadband stimulus grant and matched with another $5 million from SDN Communications. Follow the effort on Twitter @broadbandsd, or Facebook at facebook.com/BroadbandSD?ref=ts&v=wall . Contact BIT with questions at broadband@state.sd.us.